The Veliko-Tarnovo Region has experienced a real estate boom, and has among the most expensive properties in Bulgaria. 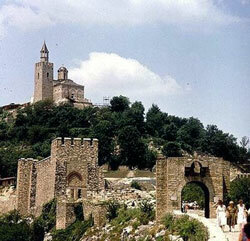 The capital city, Veliko Tarnovo, was the country’s former capital in the Middle Ages. 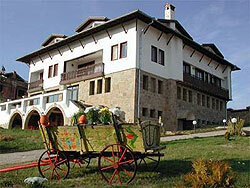 It has one of the most historically significant city centres in Bulgaria. Other important towns include the nearby transportation hub of Gorna Oryahovitsa, the town of Svitshtov, where the Tsenov Academy of Economics is, and Suhindol, where the renowned Lovico fine wines and spirits are produced. Veliko-Tarnovo has an abundance of churches and monasteries, more than any other region in Bulgaria, scattered all over its diverse topography of high plains, mountains, and river valleys. Between Veliko Tarnovo and Gorna Oryhovitsa sits the atmospheric village of Arbanassi, where traditional and modern architecture are juxtaposed. The houses of Veliho Tarnovo look like they’re stacked on top of each other, but they are actually built in haphazard rows on the slopes of the city’s hills. 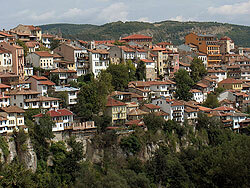 Veliko Tarnovo City is a symbol of Bulgarian nationhood. During its heyday, Bulgaria’s medieval capital was the centre of all things political, economic, cultural, and religious. The town’s unique landscape, with the Yantra river outlining the three hills of Tsarevets, Sveta Gora, and Trapezitsa, is infused with old-world Bulgarian charm, in the form of grand medieval architecture and cultural museums. Of particular importance is Tsarevets Hill, on which sit the Palace of the Tsar of Bulgaria (also known as the Royal Palace, which includes in its grounds the Church of St Petka’s), the Patriarchal Palace above it, and the Church of the Forty Holy Martyrs—which shelters some holy relics, and miracles have been said to have been performed there. Today, the preservation of the old town is a primary concern of the government and citizens alike, ensuring the town’s survival as a living testament to Bulgaria’s long history. This little village packs a lot historical punch, as it was once a wealthy crafts and trade centre in the 17th and 18th centuries. Perched on a high plateau overlooking the Tsarevets and Trapezitsa hills, atmospheric Arbanassi is a prime cultural destination due to its preserved Renaissance homes and elaborately painted churches. The oldest houses in Arbanassi are still standing and offer a curious spectacle, as they are miniature fortresses built in a style not to be found anywhere else in Bulgaria. Gurko Street is crowded with grand old merchants’ houses, and from the street’s vantage point the restored homes look as if they have been built one over the other. Other architectural sites around the village include the medieval Preobrajenski Monastery, burnt down by the Ottoman Turks but rebuilt by the Bulgarians, and the villages’ 5 churches, mostly with priceless art treasures within their walls (such as the Rozhdestvo Hristovo, with its over 3,600 frescoes).